It can be tempting to purchase a list of 10,000, 100,000, or even 1,000,000 email addresses. It's like an instant business in a box, right? In fact, buying an email list is generally not a good idea for a number of reasons. There can be some serious consequences that could cost you a lot more than the amount you invested in the list purchase. Here are the Top 5 reasons why you should NOT buy lists. If you're using a commercial email service provider, you can almost guarantee that buying lists will get your account shut down... IMMEDIATELY. If you're using your own dedicated resources, there's a good chance your hosting provider will shut you down for too many spam complaints. Most "purchased" lists also include spam traps and bad addresses, which can be reputation killers! In addition, these things will cause you to wind up on blacklists, which will cause your messages to be blocked at the source. Let's say that you DO happen to find a high quality email list, with no spam traps, few bad addresses, etc. Since these people do not know you, have a relationship with you, etc., you are going still to have a much higher spam complaint rate. High complaints can get your IP address blacklisted and even hurt your domain reputation with some providers. Simply changing an IP address in this case will not help. NOTE: A poor IP reputation impacts all mail sent through the IP address(es). Buying lists not only wastes your money, but also your time. Regardless of the list quality, the response rate is going to be very low. To illustrate this in another way... We've had customers in the past that have launched a new "brand" within their company and when they immediately send to their existing HOUSE list using a different company/from name, their open rates plummet and their spam complaints jump (and that's from a list they have built organically and have a relationship with. They simply didn't make a warm introduction to the new company/division). Likewise, we've seen this happen when a company is sold. All of a sudden subscribers start seeing messages come from someone they don't recognize. Open rates drop and complaints go up. The bottom line is that there is no "easy" button when it comes to email list building. The best lists come from building lists legitimately and over time. These are the subscribers that are most likely to read your emails, take advantage of your offers, and refer you to other customers. Attention Readers, Publishers, Editors, Bloggers, and Marketers: You may republish or syndicate this article without any charge.The only thing I ask is that you keep the newsletter article or blog post exactly as it was written and formatted, with no changes. You must also include full publication attribution and back links as indicated. This information has been provided by http://www.EmailDelivered.com and written by Heather Seitz. 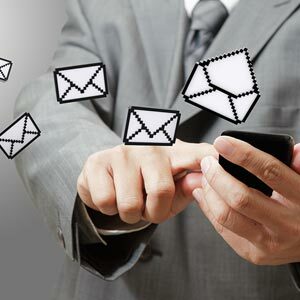 Don’t forget to sign up for the EmailDelivered Pulse newsletter for articles, tips, and recommended resources related to email marketing and email deliverability.